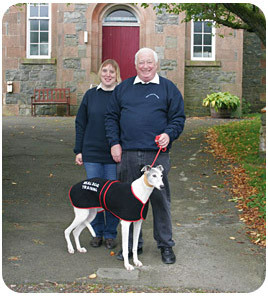 If you are looking for dog training lessons or dog training courses in Dumfries and Galloway, then look no further! being centrally located in the picturesque village of St John's Town of Dalry, means that we are in an ideal location to cover all of southern Scotland. Simply 'drop in' to dog training on a Tuesday night, Advanced Obedience classes are by invitation only. The invites being given on the Tuesday night. St John's Town of Dalry, Town Hall. Advanced Obedience classes are by invitation only. Invites being given on the Tuesday night. Eric Broadhurst (NDOA Advanced Instructor) or Helen Broadhurst. Click here to view our dog training gallery. Bring your dog along and see what we have to offer. All dog owners welcome, including visitors to the area!